The way Iron Man flies may be cool, but if we’re honest it’s also kind of impractical. Even if your core strength is off the chart, as I assume Tony Stark’s is (you’re basically planking the whole time, right? ), putting jets on your hands and feet is just asking for broken bones. But the seeming foolishness of this method hasn’t stopped a handful of Italian researchers from suggesting we give it a shot… on a robot, anyway. A flying humanoid robot may have applications of its own, such as doing repairs or inspections, or it could serve as the beginning of research toward an exoskeleton for human flight. The paper details a basic framework for how such a robot would be controlled, with the assumption that the propulsion would be from the hands and feet (of a virtual iCub humanoid bot with a baby face). Although I mock the style for human flight, despite a guy actually having done it, it makes some sense for robots. The tiny, subtle adjustments needed to maintain stable flight are difficult for a human to do perfectly, while a robot would excel at them. Constant monitoring of even the slightest motions and thrust variations would make counteracting them or producing a desired vector pretty straightforward. In theory, anyway. The researchers, from the Italian Institute of Technology in Genoa, haven’t tested it in real life yet. The basic set of controls had to be established first, which this paper does — now, if they or other researchers want to, the complex questions of navigating a real robot with mass and air resistance using those controls can be addressed. In my humble opinion, controlling a flying humanoid robot leads to a number of theoretical and practical questions. For instance, a general control framework encompassing manipulation, contact-locomotion, and flight is still missing, and the role of the auxiliary (jet?) 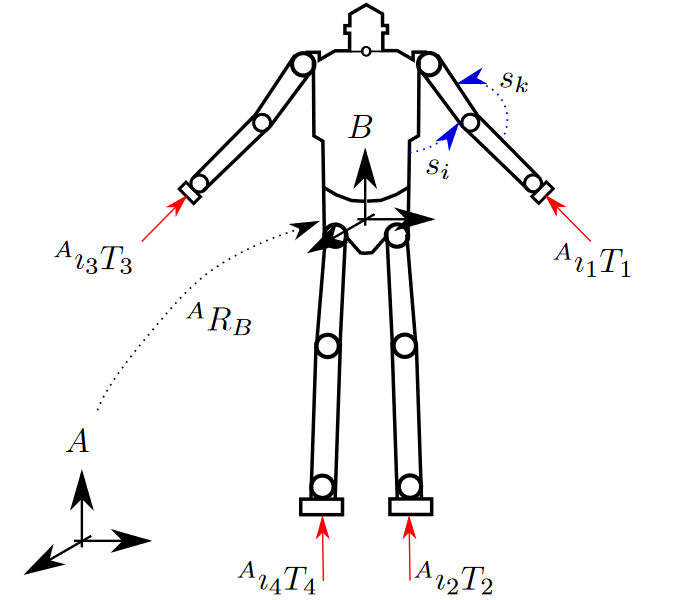 actuation during contact locomotion of humanoid robots is not clear. For instance, what is the walking speed at which it is more energetically convenient to turn the auxiliary actuation on? How do we deal with landing impacts for smooth transitions between flight and walking? I look forward to watching video of those tests.